Wood is one of the most favoured construction materials of all times. Its beauty cannot be discounted plus its natural warmth makes it a really popular choice for both homeowners and contractors. With its textures, versatility and variety, it is easy to see how it can perform as a flexible addition to any part of the home. You can use it on your ceilings, walls, and of course your floors. Graphic patterns dictate how you view the size of the room from the outside. Using repeated patterns are favoured by homeowners who want to make their small space look larger. In the world of wood flooring, using Herringbone trends will satisfy your preference for a larger-looking room in your home. This trend goes well with wood floors made of wider planks. In order to complement the graphic pattern, you can choose modern and minimalist furniture that have splashes of bright colours on them. This will help highlight the Herringbone patterns on your wood floors. Wood always has that natural appeal that is why it is favoured by many. If you want to continue enjoying this characteristic of wood in your floors, you can choose golden beige and anthracite as these ones have the ability to bring the beauty of nature inside your home. These natural colours will never fail you because they blend well with everything. Since 2018 is a great year to combine sand and water as well as riverbank and seashore inspirations to the home, you can choose the colours we have mentioned. Come to think of how you can see these natural textures on your floor and how they seem to imbibe the characteristics of water-sculpted rocks and windswept sands – and you will surely be thrilled with this choice. They are soothing colours that will definitely highlight the classy factor in your home. If you are looking to add depth and breadth to your room, or your home in general, you will never go wrong with wider planks. These oversized planks blend very well with your classically designed interior and can likewise be great for those of you with a contemporary interior. Make sure that you furnish your space with other construction materials that are actually in contrast with wood. Examples are iron, stone and chalkboard. You can also achieve the country look with wider planks. Just go for contrasting, weathered wood that comes in bold or noticeable colour tones. If there is one aspect of wood that you will love, that will be the fact that it is a very expressive material. This is why more and more people tend to love the idea of going organic for their furnishings and accessories at home. For 2018, you can go for wood flooring that come with different variations like those that have mineral streaks, knots, and different hints of colours in them. These can add your own personal touch to your home and will definitely highlight the natural beauty of wood. As you can see, these trends will shape your design ideas when it comes to wood flooring. 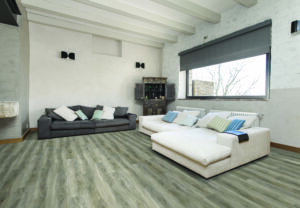 When it comes to your needs for flooring in Toronto in 2018, you can always count on us at Alliance Floor Source.